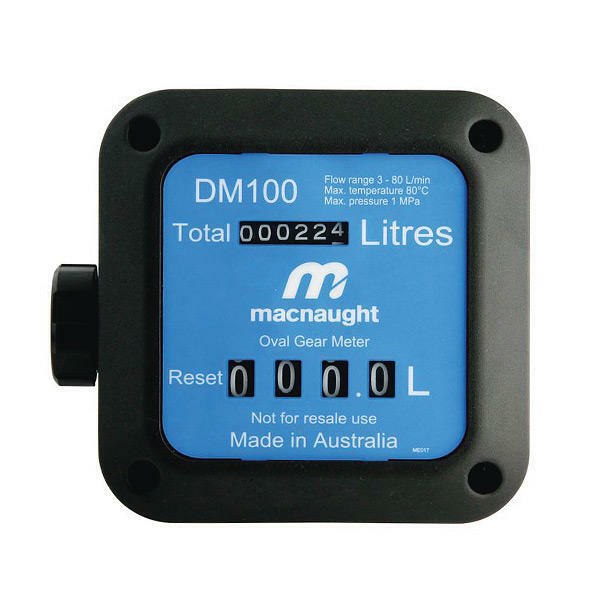 Suitable for diesel, kerosene and petrol, the DM100 is specifically designed for the accurate measurement of fuels in non-resale applications. Manufactured from corrosion resistant materials the DM100 uses oval gear technology to deliver 1% accuracy with low pressure drop making it suitable for gravity and pumped applications at up to 80 litres per minute. The mechanical register, which can be rotated in 90 degree steps, features a 6 digit non-resettable and 4 digit push button resettable display. Flow range 3 - 80 litres per min.